LUCY BURDETTE: Lots of folks spending the winter in Key West look forward to the Friends of the Key West Library talks that occur every Monday at 6 at the Studios of Key West. The books are interesting and the writers, often even more so. 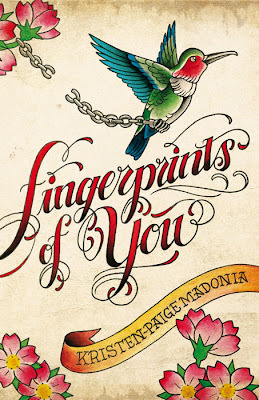 I was excited to hear Kristen-Paige Madonia talk about her debut novel a couple of weeks ago. Once she started reading from her book, FINGERPRINTS OF YOU, I knew you'd want to meet her, too. And then when Judy Blume (yes that Judy Blume) began to rave about Kristen's writing from her seat in the crowd, I knew you'd really, really want to meet her. Welcome Kristen! Kristen-Paige: Thanks so much for having me! I'm thrilled to be here. K-P: I started writing Fingerprints of You in 2008 back when I was still living in San Francisco. At the time, my agent and I were preparing to send out another novel, a project I began in grad-school, which meant I was hard at work in final edits before we submitted the manuscript. But I caught sight of two women one afternoon while I was writing at a cafe, and my imagination shifted. They immediately became Stella and Lemon: a young single mother, an artist and a wanderer still trying to find her way, and her feisty but vulnerable seventeen year old daughter, a child that had been exposed to things a lot of seventeen year olds had not. I only saw the women for a handful of moments, just long enough for them to pass through the crosswalk, but I couldn't stop thinking about these new characters and the intimate but also competitive relationship I imagined them having. So I wrote them into a short-story that eventually became the first two chapters of the novel. If truth be told, I never imagined an audience, adult or YA, and simply wrote the book because it felt like it needed to be written. I didn't think much about who might end up reading it or how it might one day be marketed. The YA genre has become such a rich and lively place in literature, and it's clear now that teens are not the only ones reading from the YA shelves. My book leans toward the older side of YA and covers a wide-range of "adult" themes, and I'm always happy to hear from non-teen readers once they've finished the book, though I love connecting with teens, too. The coming-of-age story appeals to everyone, regardless of how old the protagonist is, because aren't we all, in some way or another, continuously coming-of-age? LUCY: It's such a tough time to get published and you have an inspiring story about persistence. Will you talk a little about that? K-P: Well that first novel I mentioned, the book my agent and I were preparing for submission? We never were able to sell it. We tried for months, sending it out to the big publishing houses and waiting for responses, round after round of submissions, and while we received some lovely responses and feedback, no one picked it up. It was 2008, a difficult time for all industries, but particularly challenging for debut authors to break into the publishing world. And really I just don't think the book was meant to be my first published novel. By then I had attended a number of writing conferences and had discovered a supportive community of authors, so I contacted a mentor of mine, Judy Blume, and unleashed my sob-story. No one wanted my novel, surely my career was over before it began, those kinds of things. I confessed we couldn't sell the book and she said, "It's not your job to sell the book. Your job is to go write another one. That's who you are. It's what you do." She reminded me that the publishing side is just that, one side to the process, and it always, always, always begins with the art. So I pulled out Stella and Lemon's short-story and returned to the craft of creating fiction. Once I realized it had the potential to become a novel, I applied for a writing residency at The Studios of Key West and spent five weeks there writing the first draft. When the book was ready to be sent out to editors in 2010, my agent sold it to Simon & Schuster in our first round of submissions. LUCY: Since you are a writing teacher as well as a writer, could you share any words of wisdom that you appreciated at times when the work felt unforgiving and unrewarding? K-P: First off, you have to stubborn and completely dedicated to the work for the right reasons. At the end of the day, you have to be writing because you love to, not because you imagine the book on shelves. So never write for trends; instead, tell the story that only you can tell, the story that excites you and will hold your attention for a long time. And I always think that if the work is making you uncomfortable, if there is an element of fear involved as you explore the characters and the subject matter, it usually means you're on the right track. Mostly I tell my students that there are no set rules. It's helpful to study the techniques the work, but there is no one way to write a successful story or book. And read. Read everything you can get your hands on. Books similar to and vastly different than the kind of work you're writing. All genres and subjects and styles. It always comes back to being well read and to practicing the craft. In a way it's like any other industry or trade: the more you do it, the better you'll become. LUCY: I loved hearing the story about your cover art, which is absolutely stunning. Tell us about that? K-P: Thank you, I love the cover art, too! Because I had studied the industry and had lots of author friends by the time my book was picked up for publication, I knew that typically writers don't have much to do with their cover. I was assigned an art director, and for months the only thing they told me was that they were "working on something outside of the box." That could mean so many different things! So I waited, and then one afternoon the file appeared in my in-box, and it essentially looked like the cover you see now. I eventually learned that my brilliant art director fell in love with the tattoo imagery in the book and sketched the original design, but then brought in a tattoo artist from San Diego to create the final artwork. All of it, the font and the images and even the small pieces of artwork you'll find at the chapter headings and page breaks, it's all custom tattoo art. The whole thing was absolutely wonderful, because you could tell that the art team at Simon & Schuster had fun working on the project. I now have copies of the original sketch and know how many changes were made before they sent it to me, how many meetings they had about the cover and all the small details, and I feel super grateful that they spent so much time working on it. I've never seen a cover quite like it. LUCY: Thanks for visiting today Kristen-Paige! 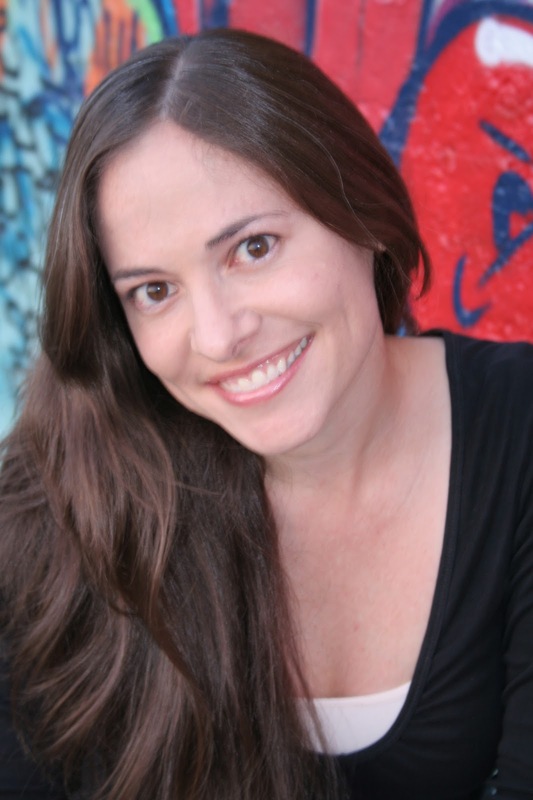 JR readers, Kristen-Paige will be hanging out with us all day so bring on your questions and comments! That is an unusual and beautiful book cover. I will be one of your way-beyond YA readers! Add me to the list of "older" readers of YA. Some of the most exciting literature of today is coming out of the YA field. Kristen-Paige, I LOVE LOVE LOVE the book cover. That alone makes me want to read the book. So great to have you here, Kristen! And wasn't Judy Blume wise? It's not your job to sell the book. It's your job to write the next one. I should have that tattooed to the back of my hand so I can see it while I type. This books sounds lovely. I'll be looking for it. I LOVE way-beyond YA readers, Reine & Kristopher! I think so many YA readers are adults. No matter what the age, we can all remember those wonderful and terrible teen years! I'm thinking this book will be a perfect gift for my niece and her step-daughter, once I read it first!!! Your words are encouraging and true -- it is in the writing that the excitement happens. Kristen-Paige, that cover is truly marvelous! Thanks for sharing the story of your story! Wow, I love that cover! Tattoo art fascinates me. What Judy Blume says is so true--always go back to the writing. I feel sad for writers I meet who stick with their Novel #1, endlessly revising it, per agent feedback, per conference feedback...At some point you gotta let it go and move on. It's the only way to grow as a writer. Another way-beyond YA reader here! Thanks, Denise! You can pick it up at any major store or indie - I hope your girls love it! And thanks for your comments, Leslie & Lisa... I'm so thankful to S&S for all of their hard work on the cover. The tattoo artist lives in San Diego, and his name is Terry Ribera. I've spent countless hours on his website looking at his work! I plan to look for your book, Kristen-Paige. I'm still another "older" adult who has begun to read YA (and even books for younger readers) in recent years, thanks to a young niece who likes to share her favorite books with me. Kristen-Paige, what a great story. I love YA books--good story-telling is good story-telling, period. And your cover is fabulous! You've been so lucky with the art department at S&S. Kudos to you all! Thanks so much for having me today, and thanks for joining the conversation, ladies!